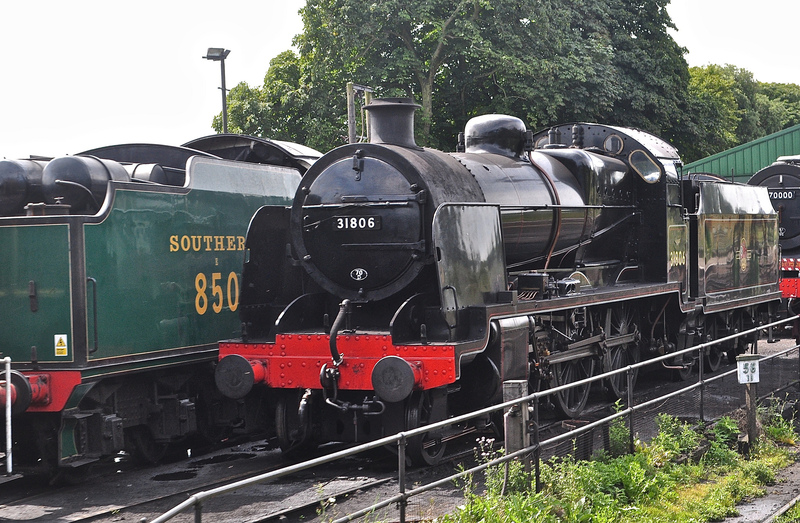 As soon as I heard about The Watercress Line, Hampshire’s Heritage Steam Railway, I knew a train trip would be imminent. And so it came to pass, this last weekend, that The Hound and I arrived at Alresford Station to travel to Alton in style … even better, The Hound travelled free! 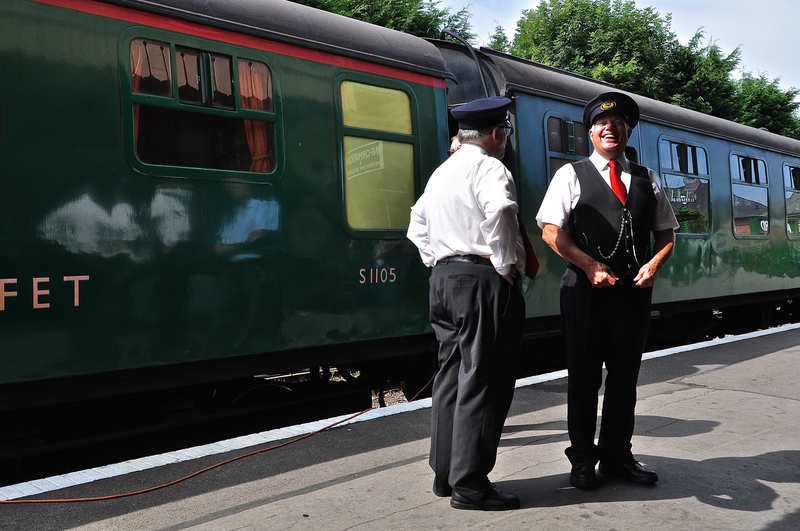 It’s nick-named The Watercress Line as it used to carry locally-grown watercress onto the markets in London and beyond although to give it its rightful moniker, it’s the Mid-Hants Railway. 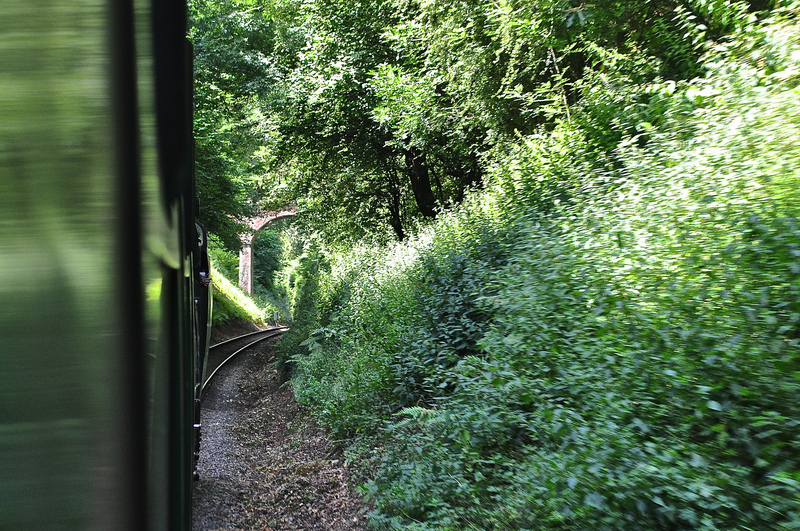 You travel 20 miles or 32 km on a round trip “Over the Alps” from Alresford or Alton stations, enjoying Hampshire’s beautiful countryside en route, as the engines puff their way up the steep banks to the summit of the line – 650 feet (198 m) above sea level. What makes this special is the attention to detail – from the cheery welcome of the wonderful volunteers – clearly having the time of their lives – to the little “vignettes” of vintage stage-management (below) to set the scene back to the railways of the 1950’s and 60’s. 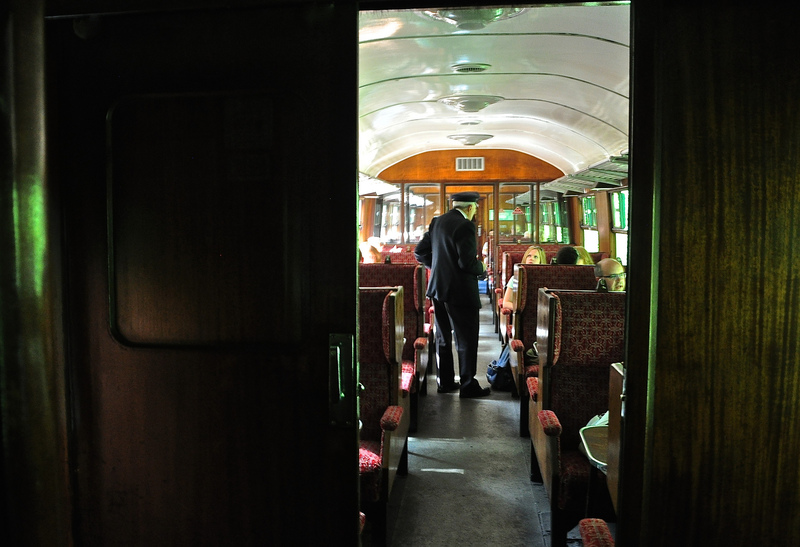 The British Rail line closed in February 1973 and a determined band of locals raised sufficient capital to buy the track between Alresford and Alton to run this Heritage Railway. Alresford is the administrative hub whilst Ropley in the engineering centre with vintage engines just waiting for their moment in the spotlight once more. 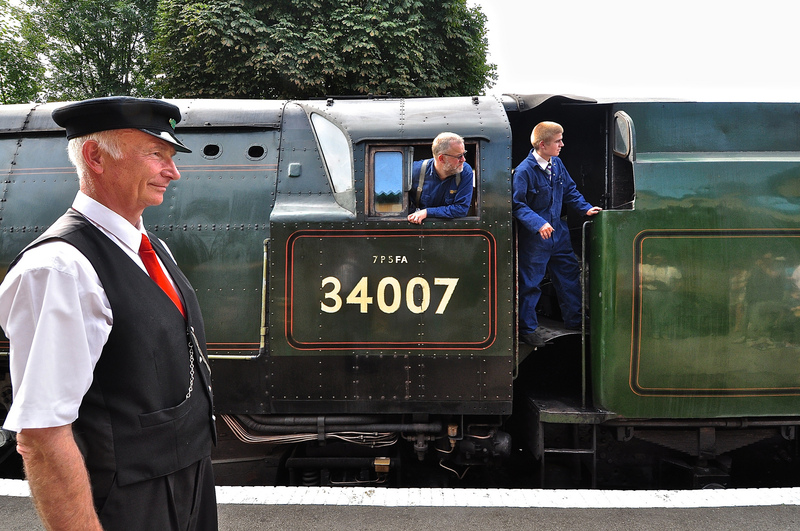 The Watercress Line has been successfully running for 37 years now and its as popular as ever due to the efforts of the organisation to make every visit into a special occasion. 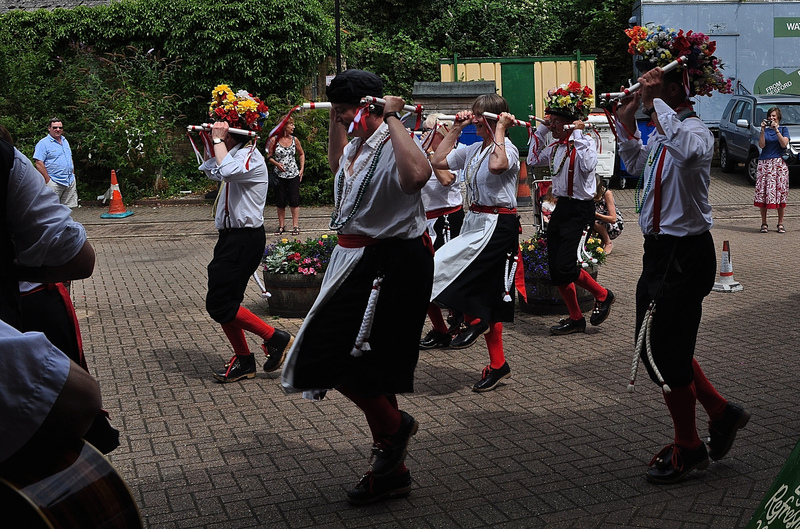 Cue the band of BasingClog Morris dancers that showed up this weekend. Look out for the various notices as some station elements didn’t t always look like they do now. 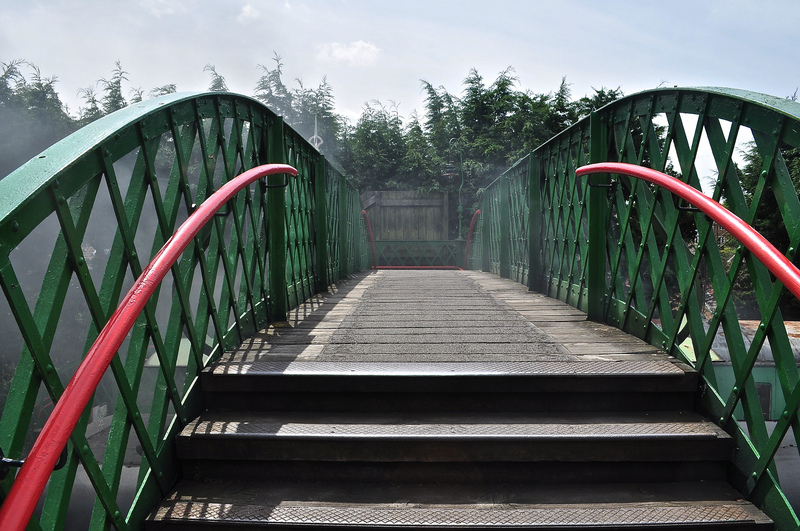 The bridge for example was relocated from Uckfield whilst the building now housing the West Country Buffet came from Lyme Regis. It seems everyone likes the idea of their railway heritage remaining in safe hands. It’s clear this is a really well-run operation. I can’t wait to return again – brilliant fun. I think The Hound was impressed too! 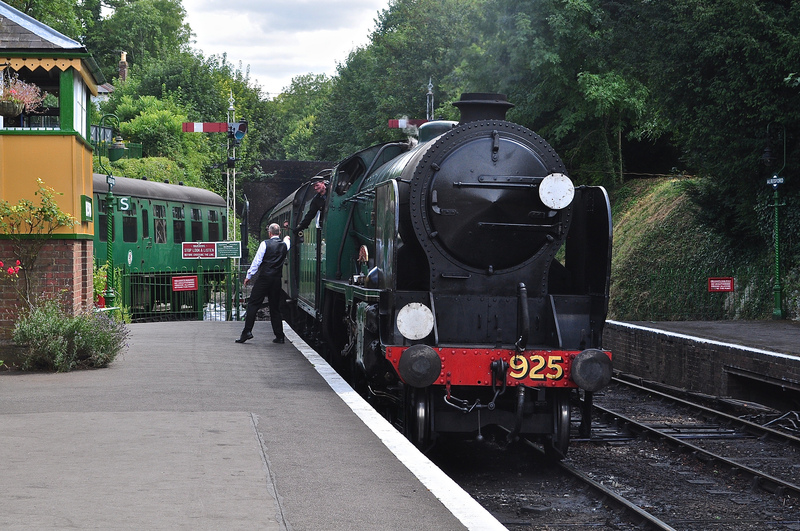 The Watercress Line, The Railway Station, Alresford, Hampshire, SO24 9JG (near Winchester). 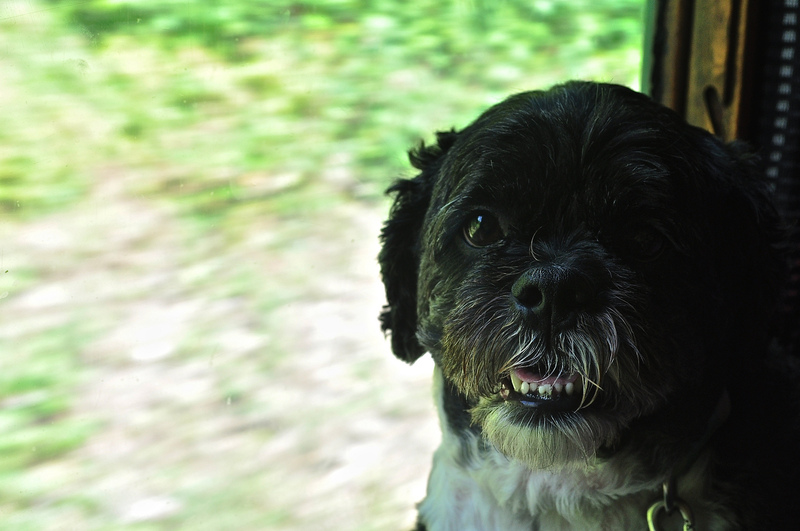 Adult tickets £16, children 2 – 16 £8 and under 2 travel free as do doggies! 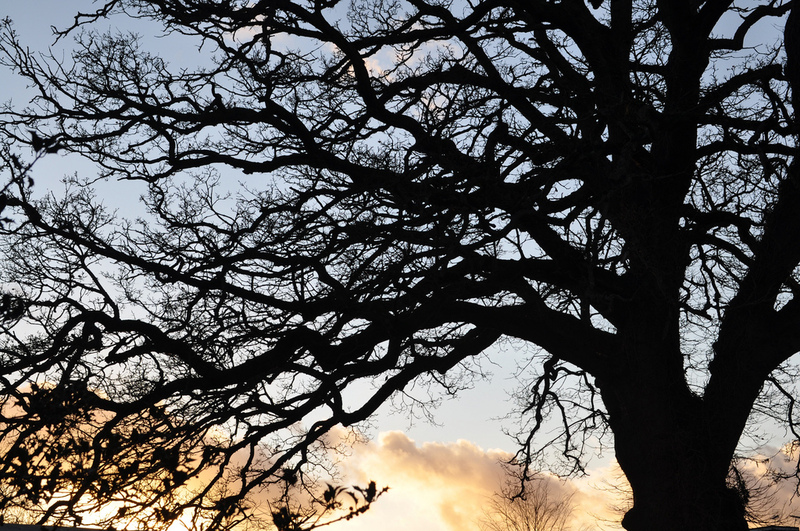 These tickets are for all day travel so you can jump on and off the two scheduled services whenever you like – allowing you the freedom to explore at four lovely Hampshire villages. Check the timetable for special events. 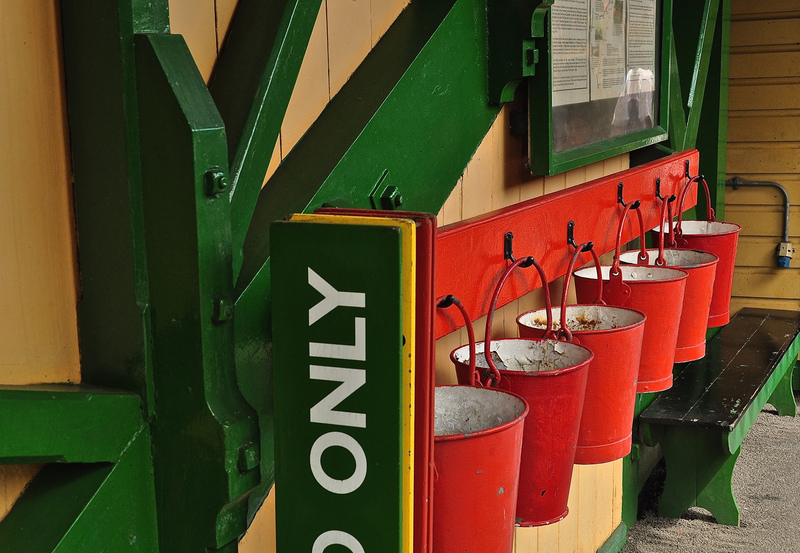 The railway runs every weekend from mid-February – end of October and mid-week from May to September. Follow A3Traveller on Twitter @A3Traveller and Sue Lowry on Google +, YouTube, LinkedIn, Flickr and Pinterest. I ale operate another blog of my company, Magellan PR – http://www.magellanstraits.com. They can be followed on Twitter @MagellanPR, on Google +, on YouTube, on Pinterest and on Facebook.